Published by:Girnar Software Pvt. Ltd. Need to buy or sell a car? 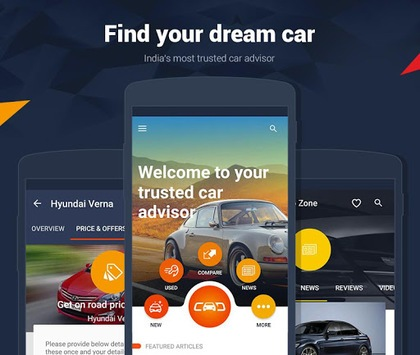 CarDekho Android App caters all your car related queries. Coming from India’s #1 auto portal, CarDekho app offers the simplest way for you to select the new car through a step by step process. You can also compare various car models & prices & even different variants of the same model to reach at the best conclusion. 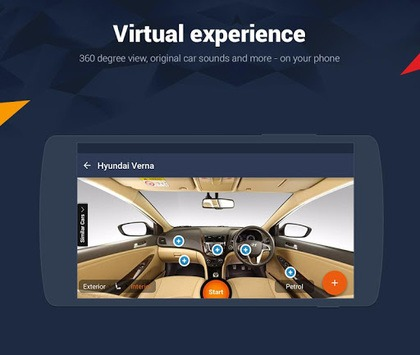 Boasting details like on-road price for your city, dealer details, interiors, accessories, expert reviews and rating, full specs, pictures, wallpapers and videos for all the models of all the brands like Maruti Suzuki, Ford, Honda, Hyundai, Renault, Tata, Toyota, Nissan, Datsun, Mahindra, Audi, Mercedes-Benz, BMW etc, the app even helps to arrange test drives from the nearest dealer. With more than one lakh listed used cars, this is the perfect app for people looking for second hand cars. 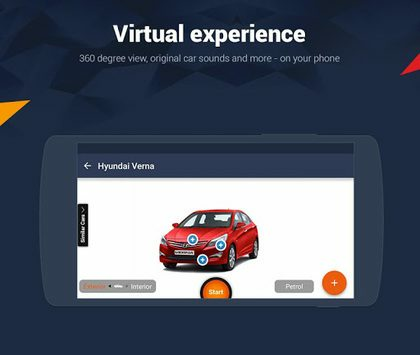 Even selling a car is pretty simple, just click a picture of the car with your phone, upload it along with details to find the right buyers. In order to ensure that only genuine customers contact you, we even verify prospective buyers before putting them in touch with you. Much easy than olx, quikr and other free listing apps. - New Cars Price in India : Explore all the details including Specifications, Pictures, Mileage, etc. - Used Car for Sale : With a listing of over 100,000 used vehicles across India, you can surely buy the one that fits your needs by owners & dealers. Find certified used cars in tamil nadu, delhi, bangalore, hyderabad, pune, kerela, Mumbai & across cities in India. - Sell Car: Upload picture for sale and get genuine buyers from the biggest second hand customer base. Find best value of your used car using used car valuation tool. - User Reviews: Real user opinions to guide you to make an informed decision. - Car News & Reviews : The enthusiasts can get the most updated, exhaustive and latest news from the Auto Industry. - Set Alerts for Upcoming Car Launches. Up to date information on Car Prices in your city, Pictures, Videos of all recent launches : Mahindra Marazzo, Datsun Redi go, Renault Kwid, Hyundai Creta, Maruti Baleno, Hyundai Santro, Datsun Go, Go Plus and many more.